John Wells is an agent for the CIA. Born and raised in Montana, son of a skilled surgeon who had expected his son to follow his example, Wells opted for more adventure and joined the military. From there he was recruited by the CIA. After training, and probably some field experience, he was chosen for an incredibly difficult and self-sacrificing assignment - declaring his hatred of his own country and joining the most rabid of terrorist organizations, Al Qaeda. 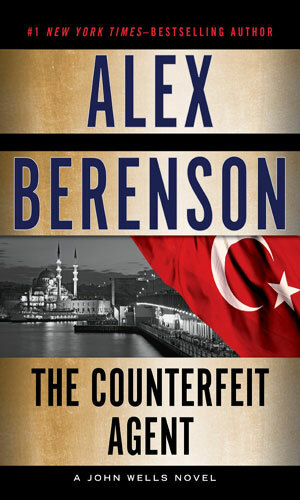 As the series begins, he has been working as an undercover agent for more than five years, joining months before the 9/11 attacks. When the Twin Towers fell, Wells, who had been nowhere near enough to the top to have an inkling of the event, was hit with incredibly strong emotions. On the surface he had to celebrate the attack on the Great Satan while inwardly he loathed all those around him for the murders and blamed himself for not having figured it out. Wanting very much to get out but determined to stay to help fight from within, Wells had to walk a terribly thin line. Too much zeal would be suspicious while not enough would get him killed. The series' best aspect is the intriguing attitude that comes over the leaders who send a qualified man into the field, let or make him work undercover for months or years, and then wonder whether the man can still be trusted. Has the agent become a follower of the cause, passing on harmful disinformation? And even if they do finally listen, what do you do with the agent afterwards? Try to "reindoctrinate" him? Send him back? Discard him? That is what Wells finds out the hard way and the series deals largely with how he deals with that. Even after he returns, though, the missions change but the dangers do not and Wells finds himself constantly walking into danger to keep others safe. 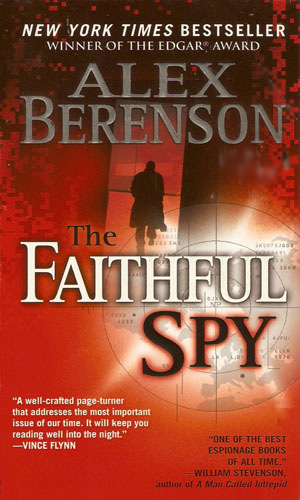 Note: the first book in the series, The Faithful Spy, was the prestigious Edgar Award winner in 1997. Having spent years undercover with Al Quaida in the mountains of Afghanistan, John Wells has discovered their latest attack against America is with a dirty bomb. But having been with the enemy so long, it's hard for his bosses to trust him, let alone believe him. Back from the cold, John Wells is having a hard time adjusting to "normal" life so he is also eager to take a new assignment that sends him again to the Afghan region. He quickly learns that the turmoil is getting worse as the Iranians and the Chinese are stepping into play. John Wells and his fiancee are victims of an attack on a crowded bridge. 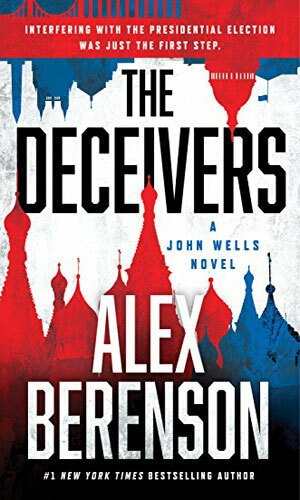 Filled with anger, Wells traces the attackers to Russia but is stymied. With no little irony, Wells receives a truce offer accompanied by info on a terrorist plan to explode a stolen Russian nuke on American soil. The men who once worked at a secret interrogation facility in Poland called the 'Midnight House' are being killed and John Wells is ordered to find out who is doing it and why. 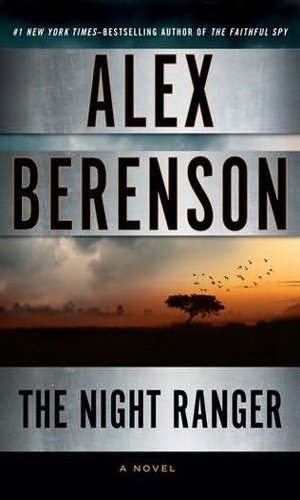 Now a freelance agent, John Wells and his partner are hired by the king of Saudia Arabia to combat the king's brother who is trying to wrest the crown and is willing to start a war in the Middle East if that is what it takes. For the past two years, the CIA station in Kabul has struggled, starting with the killing of the former chief by a suicide bomber. Now the Agency asks John Wells to head there to see if it is just bad luck or if the station has been infiltrated by the Taliban. The kidnapping of four aid workers in Kenya is brought home to John Wells when his estranged son asks him to try to help. The terrain is different than Wells knows but he cannot say no. What started as a kidnapping turns political soon and Wells is up to his neck in troubles. A secret source in Turkey warns of an upcoming attack and is proven correct. His next warning is even direr and is also true. Coming soon is a particularly horrendous attack. John Wells is asked by his old boss to check into the matter from a different angle and comes up with an astonishing plot. The President has proof that Iran is behind a horrendous plot and has issued an ultimatum. The mullahs have responded negatively and the two nations are at the brink of war. John Wells, along with his former bosses at the CIA, have 12 days to come up with the proof that someone else is behind the plot to start a war. The fight with Aaron Duberman is not over, despite what the President wants. John Wells is determined to make the billionaire pay for nearly pulling the U.S.into a war with Iran. 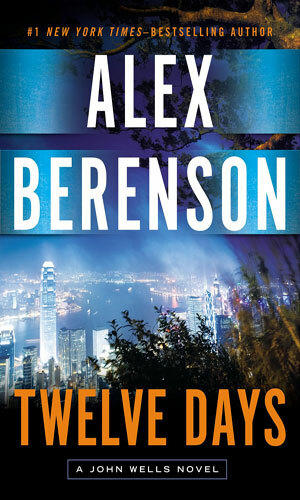 Living in Hong Kong with a cadre of guards will not stop the vengeance Wells is determined to provide. The evidence points to a high-ranking official in the CIA passing intelligence to ISIS. 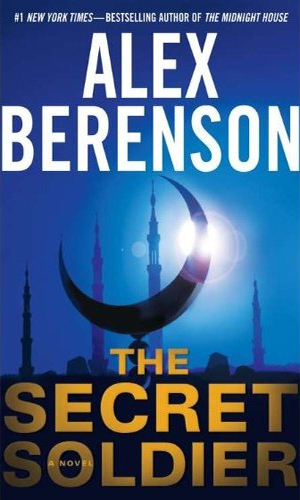 To track the traitor down, John Wells must do the unthinkable - resume his decade-old undercover identity as a Muslin extremist and return to the Middle East. The Russians have ever increasingly ambitious plans for the US. The latest starts with deceiving people of the Islamic faith to 'fake' a terrorist attack that turns out to be real. That is the opening act that will find John Wells heading to Columbia of all places to start hunting. 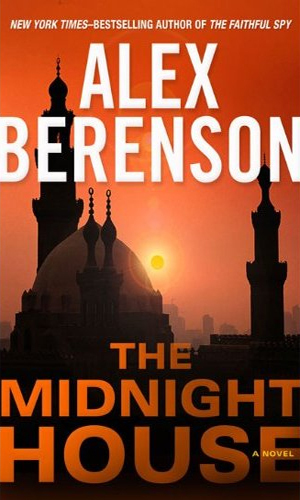 Mr. Berenson's first book was welcomed as a stunning debut novel for excellent reasons. It is stunning. Very, very stunning. I was hooked from the third page on and could not let it go. The first book was very well thought out and brilliantly presented. I found myself liking Wells from the beginning and really feeling his discomfort and frustration as he tries to move from an undercover Al Qaeda member back to CIA agent and knowing he is neither trusted nor believed. 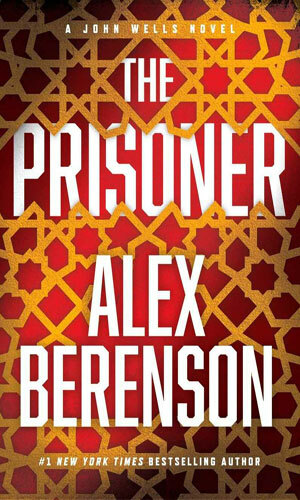 And the spot in the prologue where he needs to kill two Afghan men in his cell to keep them from killing Americans is simply and poignantly written. This author is good! I mean, very good. I cannot stress enough that the books about John Wells are a MUST read for any fan of spy fiction. This is especially true considering the books that followed. 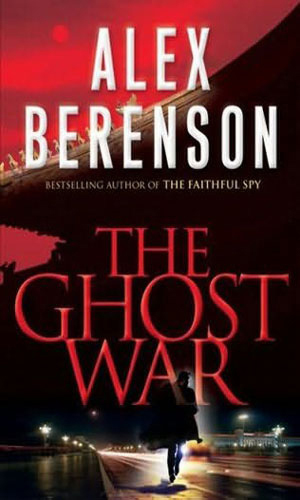 Not many writers can create a book as good as The Faithful Spy but to follow it up with an adventure like The Ghost War. The main character's role is not quite as dominant but the story is awesome and scary for how possible it seemed. On to the third and Wells returns to the lead role. He is still very good at his job but he is also human and he learns to his dismay that being human and making mistakes can have drastic results at the level he operates. Powerful enemies have power and are willing to use it. Wells' life changes in reaction but the quality of writing and the suspense does not waver. The fourth outing, The Midnight House is a fascinating change of pace. It is largely a mystery whodunit on a governmental level with the reader being given two storylines to follow. The first is John Wells and his boss being asked to investigate a series of murders connected to a CIA interrogation operation in Poland two years before. The second is a string of events at that facility and how their outcome would later cause the murders to happen. Following the two lines as they essentially converge is terrific reading. How well would John Wells, used now to the backup of the Agency, do if he did not have it? That is what Wells finds out in The Secret Soldier and the answer is that he still is John Wells but when the deck is stacked against him, he is still just one man. What made this book fascinating is that he has to take chances that even he knows are horrible long shots which should not work. He makes them work but just barely. This book always marks the first time that Wells starts to realize he is not as young as he once was. 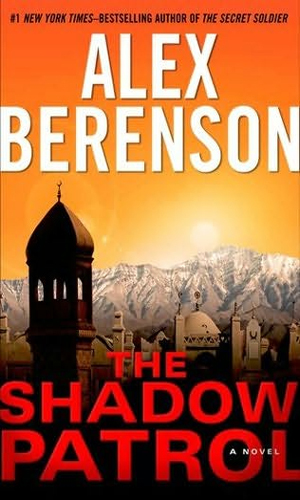 Afghanistan is again the setting for the sixth book, The Shadow Patrol but several years have passed and Wells gets hit with the 'yeah, you were great once but that was then and this is now.' I was especially intrigued with one of the bad guys, a man who is quickly losing his sanity in the insanity of the war. Others see it but the guy is still getting results. While others turn their heads, Wells knows a rabid dog must be put down. The Night Ranger really presents a John Wells, still a major force to be reckoned with, feeling his age. Closer to 50 than 40, he is thinking he might be starting a new life with a new love when his estranged son asks him to step back into danger. Being Wells, he does not hesitate but once he is in Africa, he sees that not knowing the people, the land, or the language, the odds are definitely against him and he has lost a step. Still, he is John Wells. I hope Mr. Berenson keeps us enthralled with John Wells for many years to come. So far, with the books thus far, the author has not let the reader down. 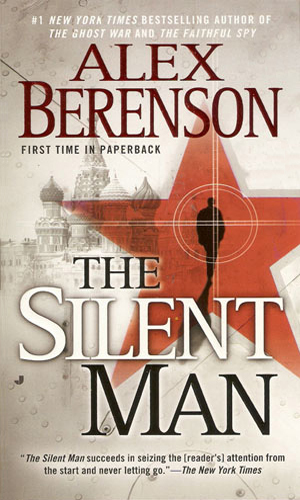 Wells is in my top five for spy characters and Berenson is top five for writers. His style is fresh and his action is non-stop. Other than the heavy american take on things, I recommend this series a lot. I've read the first five and can't wait for the next two. 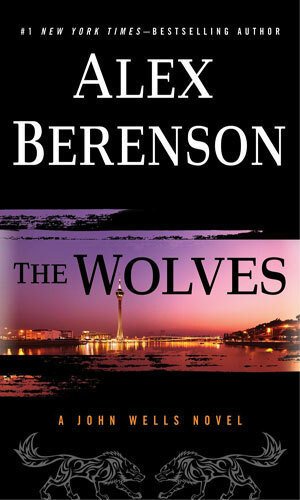 I agree that Berenson/Wells are at the top of the genre. Very recommended. On a fifth book now in the series. Kept the A+ rating even though the Midnight House departure of style would be a downgrade to the others in the series for me. Great reads and the John Wells character has the flaws we all share. Author is young enough to entertain us for many years, if he so chooses. Has an editorial bent that weaves well with the action. Dear Tdonoghue ... spot on mate ... let's say Mitch Rapp and John Wells .. great .. we are just missing Jack Bauer and then we have the best of the best of American Intelligence ..